Ranmore Common, the South Street Memorial, Dorking and in East Allington Church, Devon William Hugh Cubitt (“Hugh”) was born in Knightsbridge, London, at his parents’ house 20 Princes Gate on 30th May 1896. 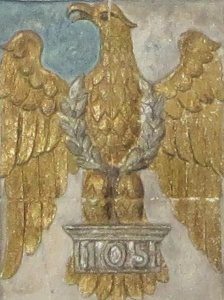 He was the third of the six sons of Henry Cubitt, later 2nd Baron Ashcombe, and his wife Maud Mariamne, nee Calvert. William Hugh was christened, like his two older brothers and his father, at All Saints Ennismore Gardens, Knightsbridge, by the Rector of Farncombe Rev. Edgar Francis Bowring, his father’s cousin. The name William was on both sides of his family; the connection with the name “Hugh” is unclear. In the 1901 census Hugh is with his parents at 20 Princes Gate, along with four brothers: Henry Archibald (1892), Alick George (1894), Roland Calvert (1899) and Archibald Edward (1901). (The youngest brother Charles Guy was not yet born,) According to his obituary in The Times of 4th April 1918, Hugh was educated at Mr. E.L. Bent’s (presumably a prep school) and at Eton College (in Mr Goodhart’s House). In the 1911 census he was boarding at Eton when Mr Goodhart filled in the enumeration form for him and the other members of the household. At the outbreak of WW1 Hugh proceeded to the Royal Military College, Sandhurst, as a Gentleman (Cavalry) Cadet, and commissioned as Second Lieutenant in the 1st Royal (King’s) Dragoons in November 1914. His service and casualty forms indicate he embarked for France at Southampton on 22nd May 1915 and joined the Dragoons at the Front seven days later. He served continuously with the Cavalry Corps, being promoted Lieutenant on 1st September 1916. He went on a course at the Fourth Army Trench Mortar School on 21st June 1917. In November 1917 he became heir to the barony on the death in action of his elder brother Alick George, who had himself become the heir in September 1916 on the death of his brother Henry Archibald. Like his brother Alick, Hugh shared the general expectation that cavalry regiments would be used for attack, but a sudden breakthrough by the Germans on 21st March 1918 led to hastily improvised defensive action, and near the village of Ham in the Somme area of northern France a mounted squadron was formed, including a troop of Royal Dragoons. William Hugh Cubitt was severely wounded and died three days later at 46th Casualty Clearing Station. As the news of this third tragedy reached Denbies, Lord Ashcombe’s sister Mary Agnes at Dorking Vicarage received news that her surviving son, Major Arthur Chichester had been wounded in France. Fortunately, he survived the war. Dorking Urban District Council sent condolences to Lord and Lady Ashcombe on the death of their third son, to which the sad response was, “They could only hope that these great sacrifices would be rewarded by lasting benefits to our country and to civilisation.” The text for services at St Barnabas in March 1918 was “Perseverance. Relief. Sacrifice. Triumph”. William Hugh’s memorial service was held at St Barnabas on 25th April, attended by his parents, his three younger brothers and other members of the Cubitt family. Also present were representatives of his regiment, members of the Denbies household and, no doubt, many workers and their families from the Estate who had known him since a boy. And. as the Dorking and Leatherhead Advertiser of 27th April, 1918 put it, ” It was a kind and sympathetic thought that enabled to be associated with the service the memory of Cpl. Edward Buckbee [actually Edgar Buckee], also of the Royal Dragoons, a Dorking lad who fell in the same action as Lieut. Cubitt”. 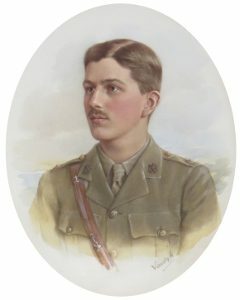 It is surmised that Edgar aged 20 was Hugh’s groom, probably his parents James and Eliza of 7 North Street, Dorking were also present at the service, and his name is on the Roll of Honour at Dorking British School, on the Dorking South Street Memorial, and the vast Pozieres Memorial in France . 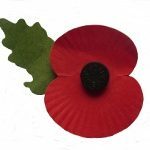 The hymns sung at the service in St Barnabas were “Onward Christian Soldiers” and “Fight the Good Fight”, and Hugh Cubitt’s uncle Rev. Canon Chichester (father of Major Arthur Chichester) was one of the officiating priests. 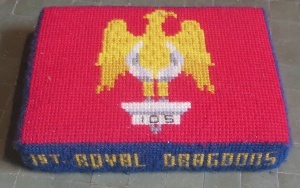 At the end of the service six buglers of the Royal Dragoons sounded the Last Post. 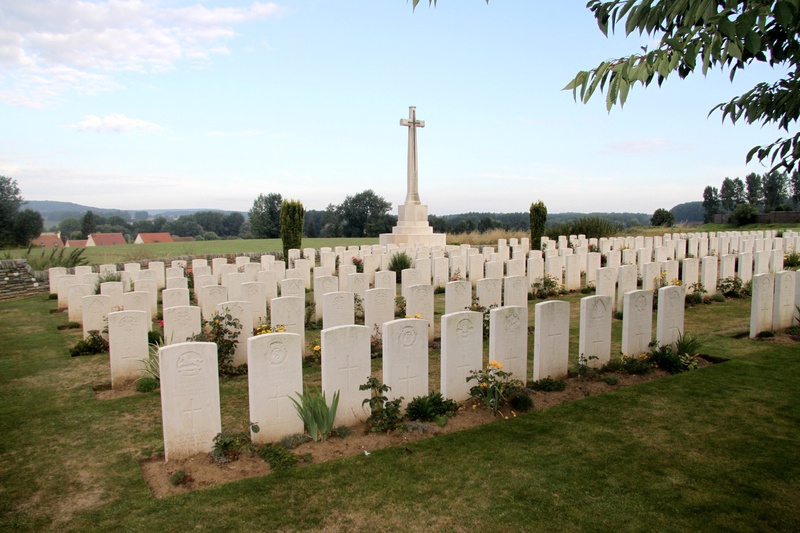 Probably William Hugh’s body was first buried in Noyon Old British Cemetery close to 46th Casualty Clearing Station, but after the Armistice taken to Noyon New British Cemetery in a concentration of over 250 graves from other burial grounds and the battlefields. 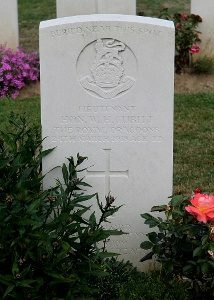 His was among 108 burials identified collectively but not individually, and hence his headstone is superscribed “Buried near this spot”. OF WHOM THEN SHALL I BE AFRAID. Hugh’s name was incorporated into the design for the Cubitt Chapel to commemorate the three dead brothers. The commemorative plaque to William Hugh in the Cubitt Chapel. The Bible quotation is the second half of Psalm 27, verse 1. The first half of the verse “”The Lord is my Light and my Salvation, whom shall I fear” is inscribed on the adjacetnt memorial to Hugh’s older brother Alick George (photograph Brian Belton).